Visible signs of aging in a person’s face are due to gravity, sun exposure and daily movement and stress caused by loss in skin elasticity and tissue strength, evident in the formation of deep creases between the nose and mouth and the jawline growing slack and the prevalence of ‘jowls’. Technically known as ‘rhytidectomy’, a face lift removes excess fat, tightens underlying muscles and repositions facial and neck skin. 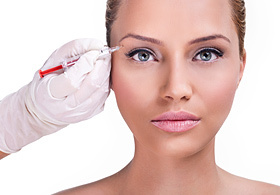 It can be done alone or in conjunction with other procedures such as eyelid surgery, nose reshaping or a brow lift. Ideal candidates for a face lift are men and women over the age of 40 with good bone structure but sagging skin or deep creases around the nose and mouth. loss of feeling (usually temporary but may also be permanent). Full face lifts generally produce better results on a more mature face in need of extensive lifting, tightening or rejuvenation for a more youthful and alert appearance. An endoscopic brow lift could be the solution if your only concern is a sagging forehead, eyebrows or slightly hooded eyes, although, younger patients are seeking mid and lower face lifts today. For the record, there is no ‘usual age’ for a face lift, with patients ranging in age from as young as late 20s through to 80-year olds. You can discuss your available options with your surgeon to determine what is best for your individual case. 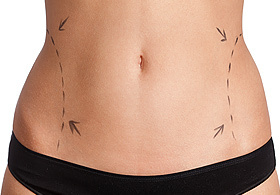 Your surgeon will discuss your goals while explaining what can be realistically achieved. It’s advisable to bring photos of yourself at an earlier age to determine your original facial features so the end result is natural. The majority of patients want to achieve a more ‘pulled together’ look – an attractive and slightly enhanced version of their younger selves, while some patients want to alter the structure of their face altogether. Depending on your needs, you may require a deep plane face lift (involving tightening of the inner muscular structure of the face). 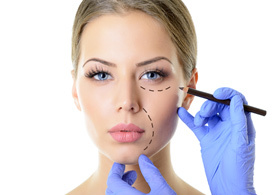 Your facial structure dictates where the surgeon will place inconspicuous incisions (usually above the hairline, at the temples, continuing in a natural line in front of the ear). Some surgeons still cut at the hairline, so be sure to check before your surgery. Some surgeons are very adept at making incisions in the ear cartilage and ending behind the earlobe and lower scalp. 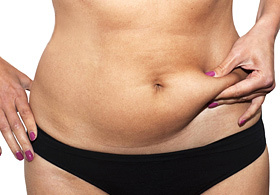 If a neck lift is being performed in conjunction with a face lift, a small inconspicuous incision is made underneath the chin, removing excess fat by manual trimming or the more common technique of facial liposuction. The underlying muscle and fascia are then tightened and the skin is pulled back, trimmed and sutured into place. Sometimes surgeons opt for surgical staples in the scalp, placing a small drain behind your ears to capture excess fluid and blood. Time required: Approximately two to six hours, although it may take longer if you choose to have a neck lift. Note: surgeons promote general anaesthesia for any procedures amounting to three hours or more. Anaesthesia: A face lift is most frequently performed using light sleep anaesthesia, with additional medications administered intravenously to induce a profound state of relaxation and sleep during the operation. Most patients have very little memory of the operation itself. Further drugs are administered to produce numbing of the surgical area, resulting in almost no recovery necessary from the anesthetics themselves, (unlike general anaesthesia) which can produce nausea after surgery. 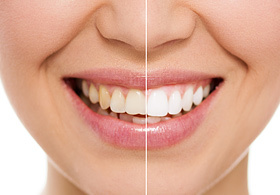 This method also carries less risk of complications. Please note, general anaesthesia can be used if preferred.